Here is the tragic, stormy life of Mary Tudor, daughter of Henry VIII and Katherine of Aragon. Her story is a chronicle of courage and faith, betrayal and treachery - set amidst the splendor, pageantry, squalor, and intrigue of 16th-century Europe. The history of Mary Tudor is an improbable blend of triumph, humiliation, heartbreak, and devotion - and Ms. Erickson recounts it all against the turbulent background of European politics, war, and religious strife of the mid-1500s. The result is a rare portrait of the times and of a woman elevated to unprecedented power in a world ruled and defined by men. ©1978 Carolly Erickson (P)2012 Audible, Inc. 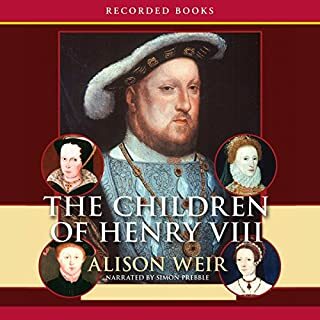 If your a Tudor history fan this is deep and thorough. But it is a history - not a fictionalization scandal funhouse - so be prepared for some dry content but faithful telling of a queens life. I usually love Carolly Erickson's books but this one failed to capture me. 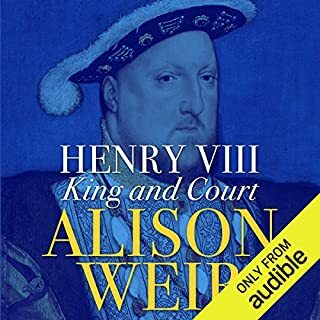 Mary Tudor is certainly an Interesting subject so I don't know why I was unable to connect here. 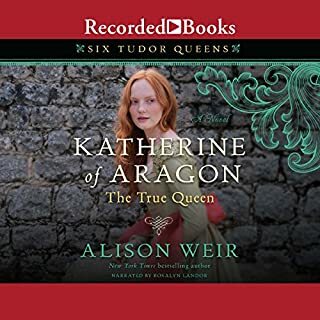 Ms. Erickson provides plenty of information in a well written format and the narration was okay but I just found myself wandering while listening. Would you listen to Bloody Mary again? Why? This book takes the life of Queen Mary far beyond the accepted stories and gives us a view of her personal life and trials. Too much expositional background, which is unfortunate. You have to get about midway in the book to even start Mary's life. The orator was ok—except you could hear the saliva moving around in her mouth which was gross. 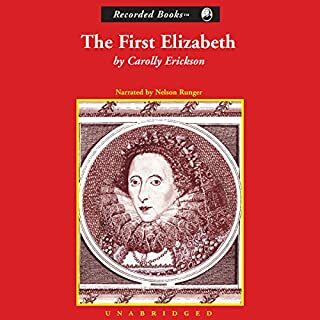 Overall, this was a disappointment, and just a vague history of 40 years of Tudor history in which Mary just "happened" to live. I loved this book. learned a few things I didn't know. I feel this book was very well written. I love English history especially about the Tudors you have to like and hate Mary. her having all those people burned just because they were Protestant just makes you so mad. unfortunately it was the time people lived in but sad. her marrying Phillip was happy for her as she really loved him. but him treating her like he did or I should say using her once he fell out of love and became king of Flanders and the Netherlands, you have to feel sorry for her. however no matter she is still bloody Mary. I was expecting this one to be less objective. Instead, it reads like an encyclopedia. Good book - dodgy recording though. Yes. As with most history books I read them several times and this is full of interesting information, from a different perspective, that takes a few reads to understand and absorb. Interestingly this is written from a sympathetic point of view, and allows the reader to look at Mary in a slightly different light. The background information is thorough, which is important I think if we are to put her life and the events surrounding her reputation into some perspective. 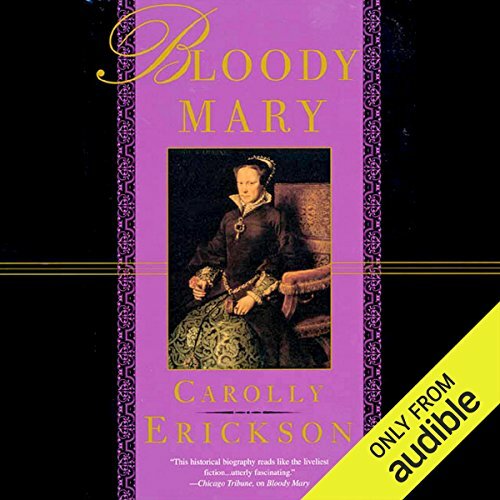 What other book might you compare Bloody Mary to, and why? This could be compared to Antonia Frazier or Alison Weir. What aspect of Corrie James’s performance might you have changed? The narrator was excellent but was completely let down by the poor production. There are a few repititions and pauses throughout the whole recording which was a little off putting. No. This is a book that needs to be listened to little and often. There is a lot of information to take in which is great, but it needs some thought and perspective between chapters. Would recommend despite dodgy recording. It is an eye opener and a different look at the notorious queen. If you are interested in the Reformation it will give you some insight into fanatical thinking of the age. Mary was also the first crowned female monarch and therefore a fascinating story for that alone. Warning. Not an introduction to Tudor history. Reaction to this book will depend on what the reader is looking for. If you want a basic biography of Mary 1, then it is fine. If you want Mary's life incorporated within general Tudor history of the time forget it. I counted perhaps two mentions of Thomas Cromwell and an equally brief mention of Cranmer. Far more attention to the politics of Charles V and the Holy Roman Empire (a bonus for me). A tragic life, a tragic reign. 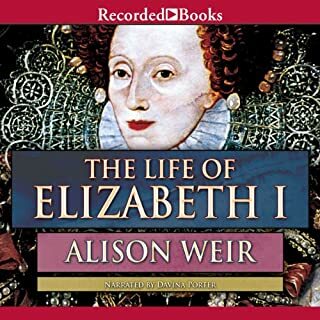 Queen Mary I of England has inspired few books compared with her more glamorous contemporaries, so this volume is particularly valuable in filling a gap in the history of that violent, rapidly changing era. I loved this audiobook. 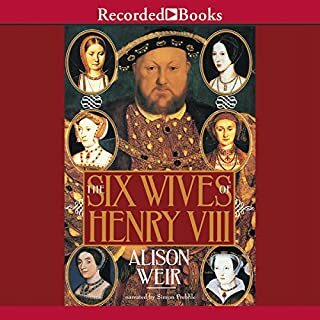 The story is beautifully written, taking many quotes from the people who surrounded Mary Tudor. It really changed my poor opinion of Bloody Mary - she was actually very kind at most times in her life. The narrator was perfectly suited (British accent) and very nicely spoken.